1. This submission focuses on the situation of human rights defenders (HRDs) in Ukraine since the previous UPR cycle and thus covers developments in the years 2012-2017. 2. Paragraphs 23 to 32 of this submission deal separately with the situation facing HRDs in Crimea. 3. Prior to the annexation of the Crimean Peninsula by the Russian Federation in March 2014, the key concerns regarding the situation of HRDs were characterised by systemic impedi- ments to the rights to freedom of assembly, association, and personal liberty. HRDs were also subjected to intimidation, harassment, and attacks while violence against journalists was tolerated by the authorities. The situation was exacerbated by pervasive corruption in all branches of government, limitations on workers’ rights to strike, and systematic targeting of LGBT rights defenders and those working for the protection of the rights of ethnic minorities. 4. From 2013 onwards, conditions for HRDs severely deteriorated in eastern Ukraine and Crimea, given that the peninsula is currently governed de facto by the authorities, laws and regulations of the Russian Federation. The intimidation and reprisals perpetrated in Crimea particularly affect civil rights activists, independent journalists, and HRDs who defend the rights of Crimean Tatars, ethnic Ukrainians and all those who have refused Russian citizenship. Those who monitor and document violations of human rights in the peninsula are similarly targeted. 5. During its previous UPR in October 2012, Ukraine accepted recommendations that would lead to significant improvement in the situation of HRDs in the country if implemented. These related to the independence of the judiciary system, creating conditions which would prevent harassment, forced disappearances, torture and ill-treatment, holding to account authorities responsible for resorting to such, guaranteeing the rights to freedom of associa- tion, assembly, expression, and a fair trial, as well as improving the effective protection of the rights of people of different gender, sexual orientation, ethnicity, nationality, and linguis- tic groups. 6. Despite accepting these recommendations, there is continuing evidence of the prevalent and widespread practice of ill-treatment and torture perpetrated by the Ukrainian authorities, the de-facto Crimean authorities and the authorities of so-called Luhansk People’s Republic (LNR) and Donetsk People’s Republic (DNR). All authorities have failed to create effective mechanisms to investigate, prevent, and punish the practice of violence and abuse of force by the state and non-state actors. Ukraine has failed to comply with the Optional Protocol to the Convention against Torture, and has also failed to conform with Article 14 of the ICCPR to ensure the the right to a fair trial. 7. Some of the accepted recommendations were implemented to a certain degree by the Ukrainian authorities. In 2014, the newly elected government dropped the law against “pro- paganda of homosexuality” introduced for consideration in 2012. In 2014, the Verkhovna Rada accepted the Law “On amendments to the legislative acts that regulate, prevent, and combat discrimination,” offering greater protection from any forms of discrimination. 8. In April 2014, the Law “On Public TV and Radio Broadcasting in Ukraine” was adopted by the Verkhovna Rada to ensure the independence, pluralism, and accountability of the me- dia. In contrast, in the name of protecting national security and counteracting “Russian in- formational aggression,” Ukraine established the Ministry of Information Policy in December 2014, imposing restrictions on the right to freedom of expression and instigating censor- ship. 9. In February 2015 Ukraine recognised the jurisdiction of the International Criminal Court over alleged crimes committed since 20 February 2014 “by senior Russian officials and the leaders of the militant organizations in the east of Ukraine..(who) were guilty of actions re- sulting in very serious consequences, and the mass murder of Ukrainian citizens". 11. Despite the retraction of laws introduced in January 20141 restricting the right to freedom of assembly, groups with social, political, cultural, and economic agendas different from those of the Euromaidan movement2 face obstacles in the effective exercise of their right to free- dom of assembly and association. Organisations fighting corruption continue to be targeted by the pro-European government which came into power in 2015. 12. On 25 March 2016, the General Prosecutor’s Office opened criminal proceedings against the Anti-Corruption Action Centre (AntAC). The Pecherskyi District Court of Kiev granted prosecutors the power to access AntAC's property and documents, including those pro- tected by banking secrecy, and allowed the prosecutors to seize them. The AntAC is well-known for its work against corruption in Ukraine. 13. “Guarantees for Freedom of Peaceful Assembly” drafted by the Verkhovna Rada in Decem- ber 2015 have not yet been adopted and in addition, the process has triggered heavy criti- cism from civil society. As stated by civil society organisations, the drafts do not provide the conditions for the right to freedom of assembly to be fully respected. 14. Although human rights organisations that work for the protection of the rights of different mi- nority groups (such as LGBTI, ethnic, national, and racial groups) still face obstacles (re- fusal of permission and protection) in their enjoyment of the rights to freedom of assembly and may be subjected to attacks from radical groups, the government that came into power in 2015 has significantly increased its support for their work as compared to their predeces- sors. 15. In December 2012, a peaceful demonstration attended by around 100 LGBTI HRDs held to commemorate International Human Rights Day and denounce proposed legislation that could potentially ban any dissemination of information about LGBTI people was attacked by members of a radical right-wing group in Kiev. The Kiev authorities refused to ensure the protection of a march for equality planned by LGBTI rights activists on 5 July 2014. This is part of a continuous trend of discrimination against sexual minorities. 17. On 19 March 2016, the participants of the “Equality Festival” organised by non-govern- mental organisation Insight in Lviv along with the members of the organisation itself were attacked by a mob of around two hundred people. 18. In July 2013, 70-year-old human rights defender Ms. Raisa Radchenko was forcibly in- terned at a psychiatric hospital before being ordered to further hospitalisation and involun- tary treatment by the Komunarsky district court judge. Raisa Radchenko's work focuses on combating illegal construction on public land and denouncing police corruption. 19. 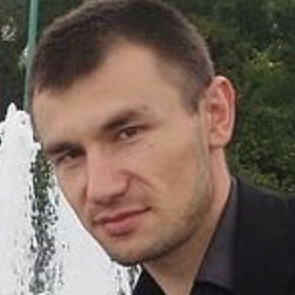 On May 24 2014, Andrei Mironov, a Russian human rights defender and journalist, was killed by mortar fire in the Sloviansk region of eastern Ukraine. Andrei Mironov was a mem- ber of the Russian NGO Human Rights Centre “Memorial”. When he was killed, he was documenting violations of human rights, as well as investigating possible international war crimes in conflict zones. In 2008 he was awarded the Pierre Simon Prize for Ethics and So- ciety and in 2014 the "Camertone" Prize in the name of Anna Politkovskaya. 20. In 2015 in Ukraine, several attacks on human rights defenders were reported . 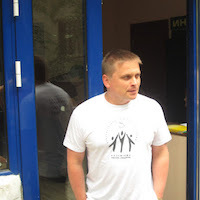 On 29 January 2015, the human rights defender Konstantin Reutski was beaten by police officers at the Pisochin checkpoint in the Kharkiv region. Konstantin Reutski is chairman of the Human Rights Centre "Postup" (Path), and a journalist with the online media outlet informator.lg.ua and with Gromadske TV. He routinely covers events in the area covered by Ukraine's anti- terrorist operation (ATO) and documents human rights violations in the region. 22. Human rights defenders, journalists, lawyers, and bloggers in Crimea have been repeatedly harassed by security forces and subjected to abduction, physical attacks, home searches, surveillance, interrogation, unlawful detention, criminal prosecution, accusation of alleged terrorism and propagation of extremism, deprivation of the right to a fair trial, forced psychi- atric examinations, and threats to family members. Several human rights defenders have been denied the access to the peninsula. 23. There have been numerous cases of systematic denial of entry to annexed Crimea and the eastern territories controlled by armed groups since 2012. In May 2014, the Crimean Tatar human rights defender Mustafa Djemilev was declared persona non grata by the Crimean Parliament and banned from entering Crimea. He had previously been a leader of the Tatar community in Crimea. 24. In Crimea, the attempts to conduct public demonstrations in support of the rights of the Crimean Tatars, as well as against the annexation of Crimea, have been refused permis- sion. Following refusal, some of the conveners were subjected to judicial harassment. On 28 November 2014, a coordinator of the Committee on the Rights of the Crimean Tatar People, Sinayer Kadyrov, submitted a request for permission to hold a peaceful assembly in Simferopol to mark International Human Rights Day on 10 December 2014. The Simferopol City authorities rejected the request, indicating that it provided inadequate information about the number of participants and voicing its concerns of a “real threat” to participants due to the location of the planned event. 25. Russian legal norms on extremism and separatism, de facto applied in Crimea, are systematically employed to persecute independent media, journalists, bloggers, and peninsula res- idents posting on social networks. Since 2014, almost all Ukrainian and Crimean Tatar media outlets and agencies have been shut down. Representatives of pro-Ukrainian mass me- dia, as well as those documenting violations of human rights in Crimea, are banned from entering the peninsula. 26. In June 2014, two journalists, Siarhei Mokrushin and Vladlen Melnikov, of the Journalistic Investigation Centre were detained and transferred to the headquarters of a “self-de- fence” group in Simferopol, then interrogated and beaten. In 2015, the Crimean authorities initiated a criminal case under Article 280.1 Part 2 of the Criminal Code of the Russian Federation (public call for actions in furtherance of violation of the territorial integrity of Russian Federation) against a journalist of the Centre, Anna Andrievskaya. 27. In April 2016, a criminal investigation under Article 280.1 Part 2 of the Criminal Code of the Russian Federation (public call for actions in furtherance of violation of the territorial in- tegrity of Russian Federation) was initiated against an independent journalist, Nikolai Semena, by the Crimean Prosecutor's Office. Nikolai Semena works for the news website “Crimea Reality,” as well as “RadioLiberty” and the Ukrainian newspaper 'Day.' He is cur- rently restricted from leaving Crimea. 28. In 2014, the Head of Crimea, . Siargei Aksenov, publicly stated that the Crimean authorities would not permit any public demonstrations with pro-LGBT themes to take place on the peninsula. He also threatened the LGBTI community and their supporters with persecution by police or/and attacks by Crimean “self-defence” groups. 29. 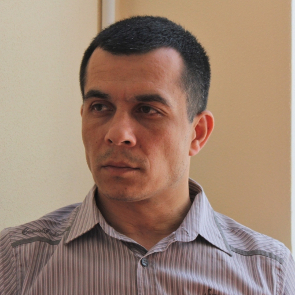 In October 2016, a Crimean Tatar and human rights defender, Emir Usein Kuku, was ar- rested on charges of terrorism and alleged involvement in the Muslim political organisation Hizb ut-Tahrir, which is designated as a terrorist group in Russia. On 8 December 2016, the Federal Security Service of the Russian Federation forced Emir Usein Kuku to undergo psychiatric examination. The Supreme Court of Crimea has ordered that his pre-trial detention be extended until 8 April 2018. While in custody, the human rights defender and his family have been subjected to harassment and intimidation on several occasions. 30. On 26 January 2017, human rights lawyer. 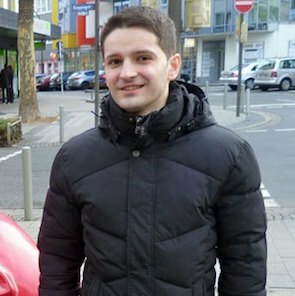 Emil Kurbedinov was detained by Russian security services in Bakhchysaray, Crimea, while en route to monitor the search of a Crimean Tatar activist’s apartment. Kurbendinov’s apartment was also searched and all his electronic devices seized. He was charged under Article 20.3 of Russia’s administrative code, which prohibits “propaganda or public display of Nazi paraphernalia or symbols” for sharing footage of a demonstration of Hizb ut-Tahrir activists from 2013, and sentenced to ten days’ imprisonment. Ensure the respect of the rights to freedom of expression, media, association and assem- bly, as well as the right for a fair trial. Ensure direct and unfettered access to the Crimean peninsula by established regional and international human rights monitoring mechanisms to enable them to carry out their mandate in full conformity with General Assembly resolution 68/262. 1 On 16 January 2014, Ukrainian Parliament, in violation of parliamentary procedure, voted to intro- duce a set of restrictive amendments limiting fundamental freedoms and human rights. The amendments imposed restrictions on media and the Internet, undermine the activity of NGOs and religious organisations, ban all forms of protest and foster impunity for law enforcement. It introduced the requirement for NGOs in receipt of foreign money and involved in so-called 'political activity' to register as 'foreign agents'. On 17 January 2014, president Yanukovich signed this set of amendments into the law. 2 Euromaidan- countrywide protests lasted from November 2013 to February 2014. They broke out in response to the increasing authoritarianism of the regime,leading to systematic political persecutions of human rights defenders and worsening economic conditions and an increase in poverty. The unrest lead to the overthrow of Yanukovich's power and the ascention of a pro-European and democratic government.